A luxury jewelled Hexagonal Bead Tea Light Candle Holder in Brown (Tea Light Holder height 8.5cm x diameter 8.5cm). 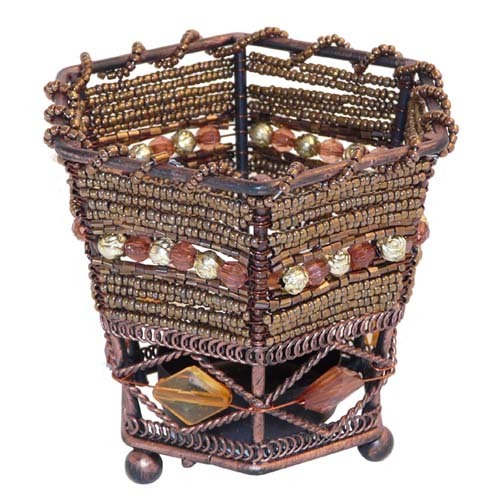 A great way to burn all of your tea light candles safely with this detailed brown beaded candle holder, embellished with large diamond shaped beads. The light simply sparkles when you place your tea light into this uniquely designed tea light holder which would make an ideal centrepiece. Use for your dining table, shelf, bathroom or bedroom for creating a romantic atmosphere.